Discover your Bird Medicine & how it can Guide your Life. Whenever I am outside, or even just looking out the window, I like to read the signs in nature. I learned to do this in an experiential course on shamanism and spirituality that I took several years ago, where we learned how to connect more deeply with our spirit and communicate with the spirit world. As part of the class, it was suggested that we go outside every morning and spend 10 minutes connecting to nature. Each morning after I got my cup of coffee, I walked outside barefoot and stood in my backyard. My feet grounded in the earth, I let my perception open up and tuned into the sights and sounds around me. Sometimes it was the delicate flowers that caught my attention or the cawing of a crow overhead. Other times it was the vastness of the sky or the unwavering strength and nobility of the trees. Through this practice, I started cultivating a reciprocal, mystical relationship with the natural world. I began to feel the power of trees, the swooping of birds, and the radiance of flowers as if they were communicating directly with my own heart. I discovered a rich, dynamic interplay between my own perception and the world I encounter. Human beings have the potential for a deeply meaningful relationship with nature. It’s our birthright. The problem is, in all of our modern-day hustle, we’ve become increasingly detached from it. We spend most of our time inside walls and in our heads, distractedly rushing from one engagement to the next. We are cut off from our natural environments and ourselves. The field of ecopsychology seeks to bring people back into harmony with the earth and heal both humans and nature in the process. 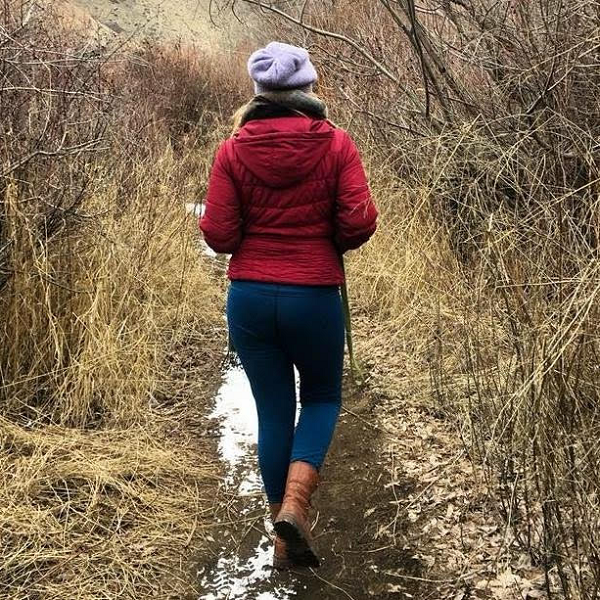 It explores the synergistic relationship between humans and the natural world, and recognizes that people are fundamentally connected to our environment and that spending time in nature helps us connect more deeply to ourselves. Ecopsychology often looks to indigenous cultures for ways of relating to nature. Many shamanic cultures, including Native American cultures, perceive human beings as an intrinsic part of the natural world—not separate from it, but one with it. They recognize that we are all part of an interwoven whole. One of the most fascinating aspects of Native American spirituality to me is the different medicine, or symbolism, that each being holds. It’s as though the world is a kaleidoscope of understanding and each living thing forms a piece of the puzzle of consciousness. Noticing what plants or animals call to us and examining their symbolism can yield great insight into our own lives. In my own love affair with nature, birds speak to me. I notice them constantly. The knocking of the woodpecker is a call to listen to my own heart. The blue jay reminds me to speak my truth. The eagle beckons me to connect to my spirit. The zoom of a tiny hummingbird fills me with delight. The way birds move captivates me. I feel my heart shifting with their swoops and flutters, my spirit soaring on their wings. I find power in their stillness. Their ever-present songs fill me with a bubbly lightness and enduring hope. In researching bird symbolism, I’ve learned that they are often seen as messengers of the spirit world—a connection to the divine. A bridge between heaven and earth, they symbolize the link between our physical bodies and our spiritual selves. They represent freedom, transcendence, and the ability to see things from a higher perspective. Connecting with bird medicine can help us open to greater wisdom, inspiration, and guidance in our daily lives. Each bird we see has its own unique symbolism depending on its qualities and characteristics. Here is a list of some common birds with interpretations of their basic symbolism, or medicine. For additional information on bird and animal symbolism, I recommend Ted Andrew’s book Animal Speak. The next time you go outside, I invite you to set an intention to connect with the natural world. Let your body relax and tune in. Be curious. As you engage your senses, what do you feel, see, hear, and smell? What plants and animals do you notice? Does anything in particular stand out to you? What we see around us is often a mirror of what is happening within us. When we consider that the Earth is alive and we are intimately connected to it, everything we witness becomes part of a meaningful dialogue. Nature is always communicating with us—we just have to remember how to listen. If we open our hearts to it, this conversation can transform our lives. Andrews, Ted. Animal Speak. Woodbury: Llewellyn Publications, 1993. Print. Heidi M. Ormbrek is a free spirit—a deep lover of nature and self-expression. Always looking for new ways to grow, she spends much of her time studying yoga, consciousness, healing, and the mystical ways of the universe. 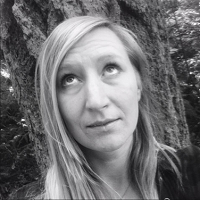 An aspiring ecotherapist, she enjoys hiking, dance, music, art, and exploring new places. This is her first article for Elephant Journal. Find Heidi on Facebook.